The study, published in the journal Circulation Research, included 67 men who all had a high risk of heart disease. Some of them drank 30 grams of red wine with alcohol per day for four weeks, some drank 30 grams of non-alcoholic red wine per day for four weeks, and some drank 30 grams of gin with alcohol per day for four weeks. 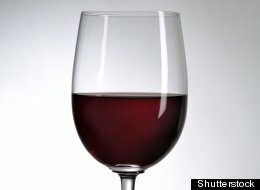 Both the alcohol and non-alcoholic red wine contained the same amount of polyphenols, which are antioxidants. One polyphenol in red wine that has been shown to particularly have benefits is called resveratrol, according to the Mayo Clinic. The researchers found that drinking non-alcoholic red wine was linked with decreased blood pressure (systolic blood pressure was 6 millimeters of mercury lower, while diastolic blood pressure was 2 millimeters of mercury lower) among men at high risk of heart disease. The men in the study who drank the alcoholic wine only experienced a very slight beneficial effect on blood pressure, while the men who drank gin didn't have any change in their blood pressure during the study period. Because both the alcohol and non-alcoholic red wines contained the same amount of polyphenols, the findings suggest that alcohol could actually be damping the beneficial effects of the compounds, the researchers said. "The daily consumption of dealcoholized red wine could be useful for the prevention of low to moderate hypertension," the researchers wrote in the study. Recently, a review in the Cochrane Library showed that daily dark chocolate or cocoa powder consumption could also help lower blood pressure. Reblogged from HuffPost Healthy Living.